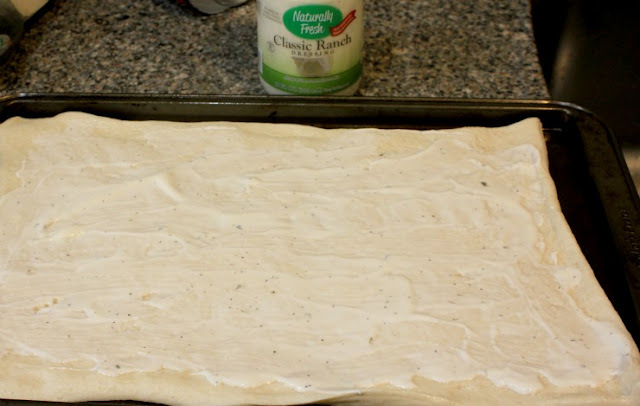 Disclosure: Thank you Naturally Fresh® and The Motherhood for sponsoring this post and challenging me to try new things! WOW! What a weekend for football. We now know the two teams that have made it all the way to the end and will play in the big game. Now comes the fun part, planning the food. Honestly, delicious big game food might be my favorite part! This year, I wanted to try new recipes to pair along with traditional favorites like potato skins and nachos. 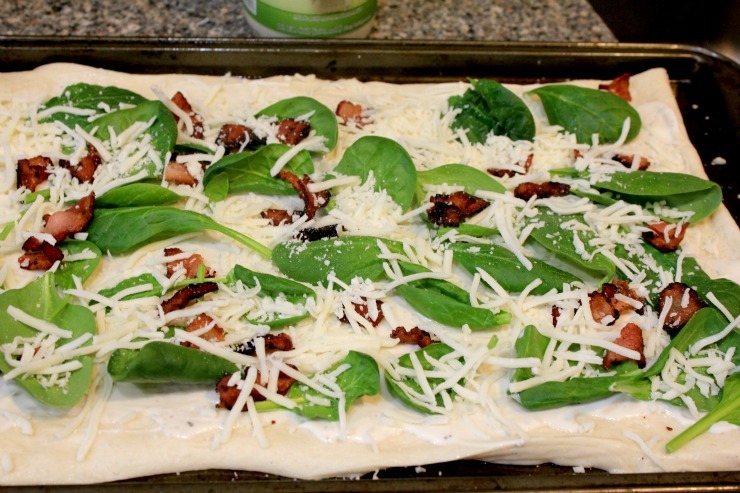 I worked on some over the weekend and found one I will definitely be making for the big game: Spinach Bacon Ranch Pizza! 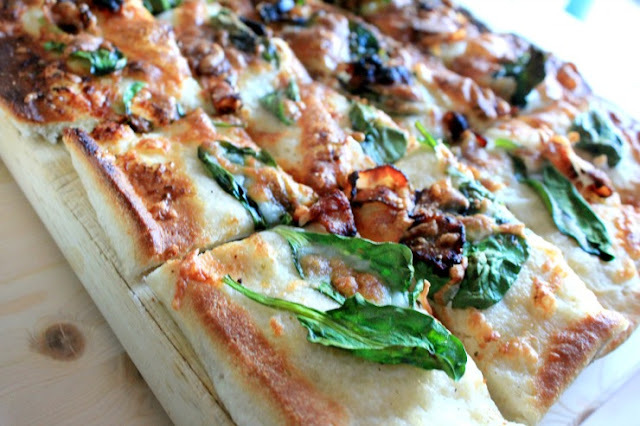 This pizza is so amazingly delicious and a little different than a classic pizza. I love serving pizzas because not everyone is a sandwich fan. Besides, you can always slice a pizza into squares and serve with an amazing dip. Perfect football food! Preheat oven to 400 degrees. 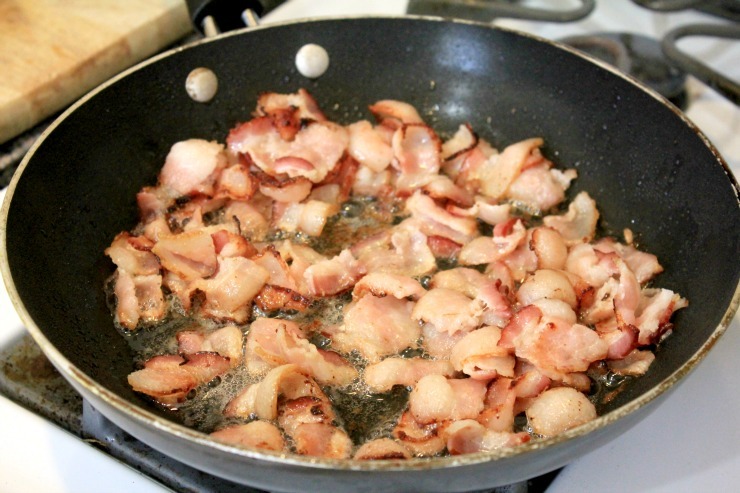 In a pan over medium-high heat, cook bacon until crisp. 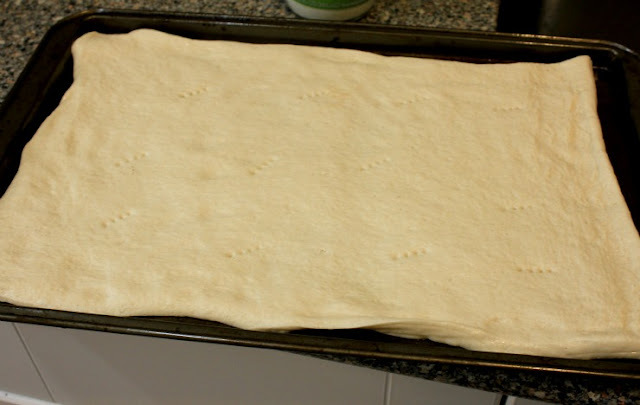 Remove from pan onto a plate topped with paper towels. 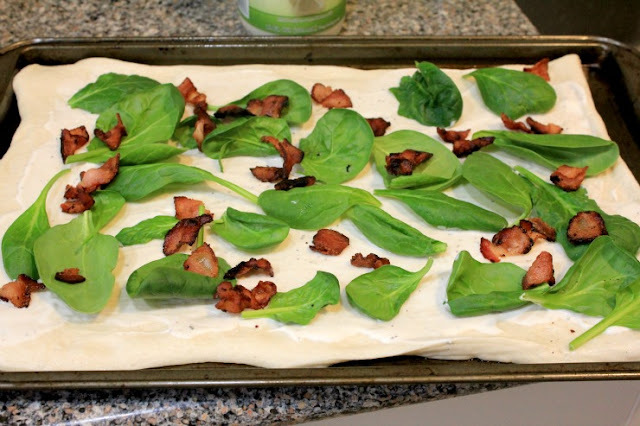 On a lightly greased baking sheet, roll out your pizza dough. Then,with a fork, pierce a couple spots around the dough so it doesn't shrink too much while cooking. 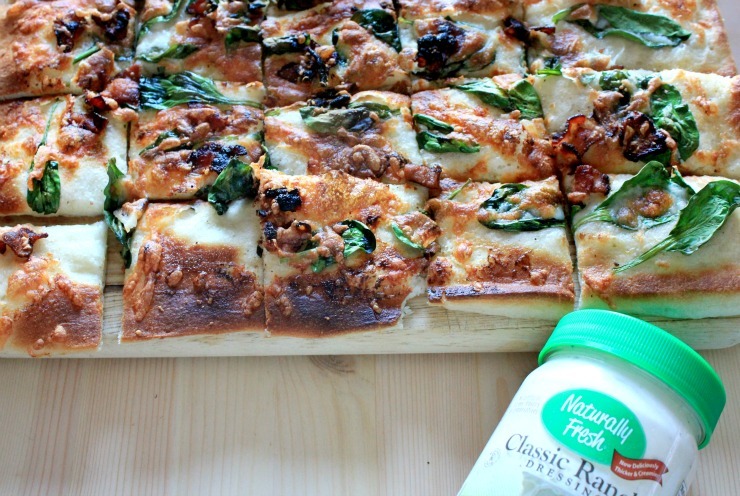 Top your dough with 3 tbsp of Naturally Fresh® Classic Ranch dressing. I chose Naturally Fresh® Classic ranch dressing because Naturally Fresh® is a line of high-quality, homemade-tasting salad dressings and dips with no artificial flavors, colors or preservatives. Bake at 400 degrees for 12-15 minutes. 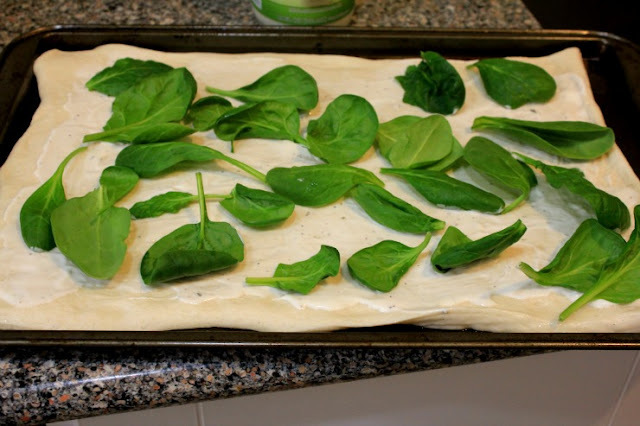 Remove from oven and let sit for about 5 minutes before slicing and serving. I overcooked this pizza a little since I wanted it to be more like a flatbread than chewy pizza. It makes it easier to dip!! Look at this pizza. So yummy! This is definitely a new favorite game day recipe! I can't wait to make it again in a few weeks! Do you serve pizzas at your game day parties? 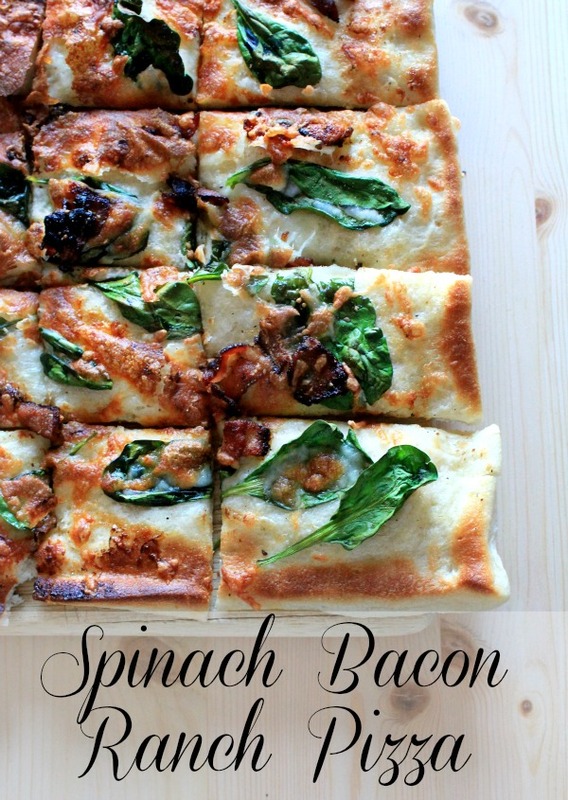 Will this spinach bacon ranch pizza make it onto your menu? 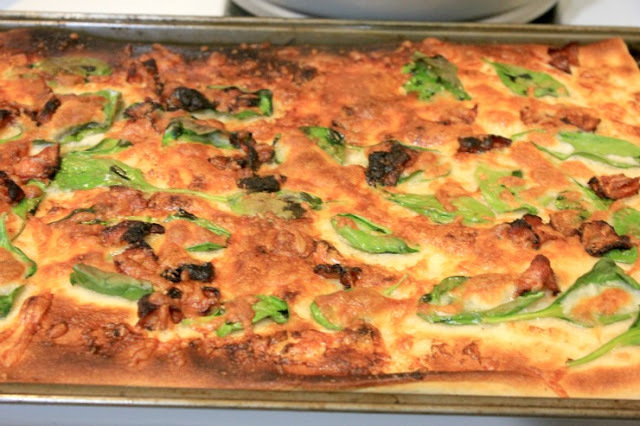 Be sure to check out the Naturally Fresh® facebook page for more game day recipes! Interested in trying Naturally Fresh® dressings? Enter below for your chance to win 4 coupons for Naturally Fresh® dressings. Try them for free! !